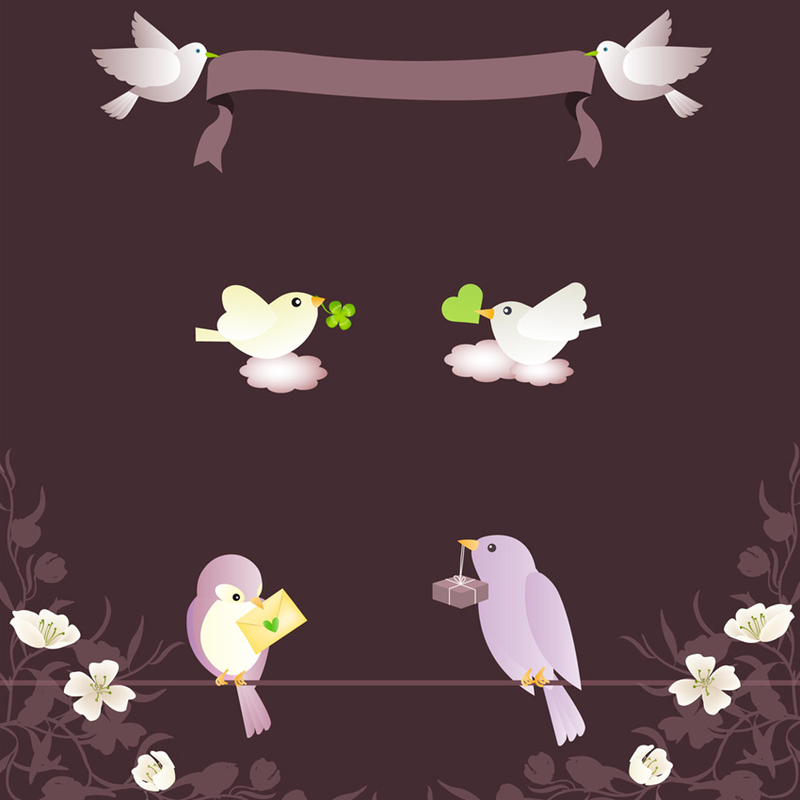 Cute free vector birds. Sweet graphic design set of birds carrying symbols of love. This colorful bird pack comes in Illustrator ai, eps, pdf and svg format can easily be used to make your own birth cards or wedding invitations. Vector illustration by dapino-colada.nl Attribution Non-Commercial.